Please scroll down for a listing of past and upcoming appearances. I had a wonderful time visiting with my Southern Plate family on the book tour. From time to time, I’ll venture out to speaking engagements or other appearances. Stay tuned to this page and our Facebook Events Page to be kept up to date on those! If you would like to request an appearance, please click here to visit my media page. Note: Like you, my family comes first. While I appreciate all of the invitations I receive, I cannot take money out of our family budget in order to travel to venues. 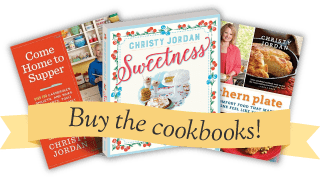 Sept 30 – University of North Alabama/Florence, AL – To print the Recipe Cards from this event please click here! *Unfortunately, the Tuscaloosa was canceled. I have emailed everyone who RSVP’d on the FB events page with an alternate plan. if he has a family he is rich. I’ll be there on November 4. Oh, can’t you come to B’ham earlier? I can’t wait to meet you and get your book. no Tupelo??? This makes me so sad!! guess I will just have to go to Oxford…and girl…I wouldnt do it for just anyone LOL Go MS State!! Good Luck!! You know that we all love you!! THANK YOU so much Marian!!!! My heart just dropped when you said it made you sad because I want so badly to make everyone happy, then I came back and saw this comment and you picked me right up and put me in the clouds again. ~hugs~ I dearly dearly hope you get to come! I’m gonna hug you so tight your back pops! Your kids would love it here. It would be a trip they’d always remember! Alaskans love southern food, too- they had biscuits and gravy for breakfast several times a day in the university cafeteria. It was the only thing they cooked that actually tasted good, too! Waaaah! No Tupelo? Glad Oxford isn’t too far away! Hey Judy>>>I’m in Tupelo also.. Guess we will be making a trip to Oxford..maybe we can meet each other there..
Plan to be in Nashville to see you at the SFOB! I’m so excited to meet you! Wishing you much success!! Wish you were coming somewhere near me, but I understand about them babies and all. Have a wonderful journey. No South Carolina…. 🙁 We’re southern, too!!! I know and I’d live to go. I wish so badly that I could go everywhere! I do not see any stops in FL. Was sure I had previously read on your FB page that you were coming to FL???? I got excited when I saw Oxford, then noticed it said MS. Figures the Atlanta one is on a Monday night. Oh well, guess I won’t be able to see you. Hope you have a ton of fun though. OKC!!! With luck, I can get away to get there. Well, I just might have to make the 6 hour drive from Jacksonville, NC to Asheville on October 19th to finally meet you! I”m from Huntsville, too, but moved to NC with a handsome Marine almost 25 years ago. Your emails are a dose of home for me and I can’t tell you how much I look forward to each one of them. Not only are you a great cook, but you’re also a fantastic writer. You bless my heart with all your stories of home and family. The recent recipe for Kraut (that’s what we called it) and Weenies brought back SO many childhood memories. I thought my mama came up with that one so it was funny to me that anyone outside my family would have ever heard of it. 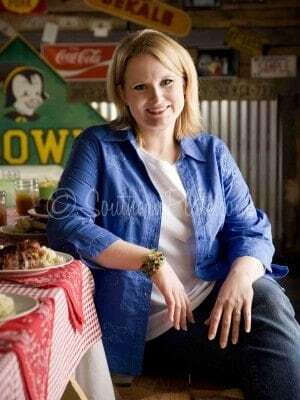 I so look forward to meeting you and giving you a great big bama girl hug! I’ll see you in OKC!! So excited! Yay!!! Jackson, MS…can’t wait. And it’s after work…even better!!! Can’t wait to meet you in the ATL!!!! I am SOOOO happy you are coming to the Peach State! I will see you october 26th in Garland, TX! Firewheel is the prettiest shopping center, and it’s close to my middle daughter’s house. I am so excited to meet you, sweetie! I betcha Bro. Bill will be there with bells on! p.s. feel free to call on me for anything you might need while you’re in town. I’ve got more kinfolks in the D-FW area than you can shake a stick at, and we would all be more than happy to be of help to you. I will be at the Florence expo at UNA (Roar Lions!) along with 5 of my friends from work! We are all super excited and can’t wait! Awww….. Asheville is too many hours away for me and the munchkins on a school night. I understand how you don’t wanna be away from home though. I’m so sad I won’t get to meet you in person this time around. I wish you much success and hope lotsa folks are able to come out in support! What??? No (Tampa) FLORIDA tour? puleeeeze???? Oh, yes Miss Christy!! I’m in Lakeland FL, which is just a hop, skip & a jump from Tampa!!! Please let is know if Florida might be a destination stop one day!!!! Will also be there in Garland, Texas. Can’t wait! Can’t wait to see you in Memphis! I was born in Huntsville and I still have family in the Madison area. My daughter’s name is Madison and my aunt that grew up there, loves to call her “Madison, Alabama”. 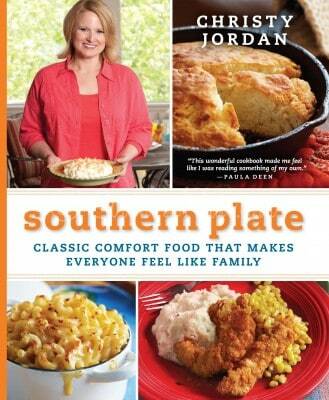 She loves that and I love Southern Plate and all your wonderful recipes! Sure wish LIttle Rock or any town in Arkansas was on your list. Maybe someday…sigh! However, I didn’t realize the release date was still a month away…that would explain why I couldn’t find it at Barnes & Noble last night! LOL! Drats! I’m not in Austin anymore, but back in Michigan… so I’ll miss it. But I’m looking forward to seeing the book when it finally hits the bookstands and the libraries! So excited to be seeing you in Garland, TX! I would be so excited to be your local contact, too, but I promise I am not a stalker or anything. Do you know if Barnes & Noble will let you bring books in for the signing or if you have to buy them there that day? I have been to a signing at another B&N stores and you couldn’t bring in books – maybe pre-orders with a receipt? NO Louisiana???? The SOUTHERN Capitol of the World??? We love Southern Plate! Why? I’d dearly love to come to every town and I’ve never been to LA, either! I’ll be on the road, all told, about six weeks and my publisher squeezed in as much as they could while still allowing me to come home on the weekends to be with my kids. If this tour goes well though, there are lost more possibilities in the future and if I ever go on another I’ll make sure LA gets on the list if it kills me! Will see you in Garland. Yeah, for us.